A team of 25 wrestlers travelled to Sydney to compete in the 2012 Oceania Wrestling Championships held at Sydney University in South Sydney from 25-30 January 2012. Fantastic results were achieved from the team, but in particular two of our local Hamilton Hawks Wrestling Club wrestlers, Koria and Matiu Pouri-Lane did exceedingly well. 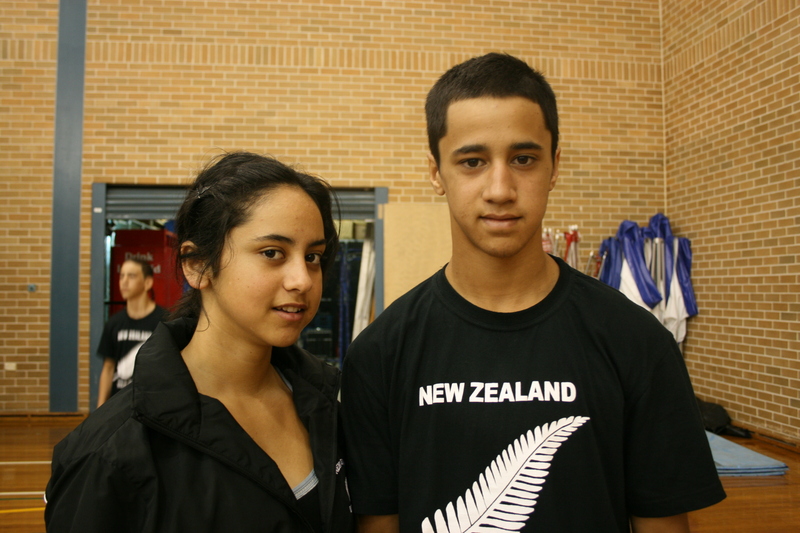 Matiu won Gold in the 58 kg Male Cadet category and was also awarded the Best Male Cadet Award for the Tournament. Koria won Gold in the 60 kg Female Cadet category and also Gold in the 59 kg Female Junior category.